Every year we carve our pumpkins the night before Halloween. I don’t know why we always leave it until the very last moment. I buy the pumpkins weeks before! My guess is that we wait so long because carving is no fun. I mean, picking out the pumpkins is fun. But that’s about it. All the other stuff is hard work. 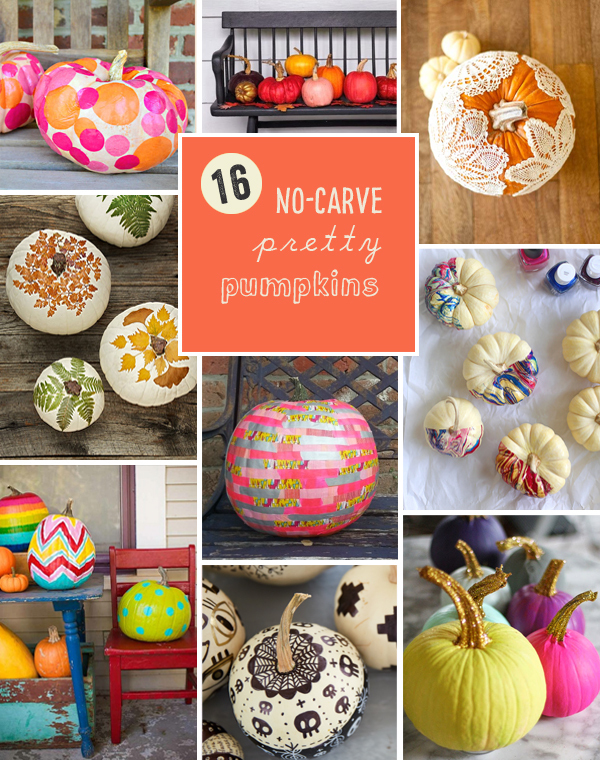 Which is why I have been collecting ideas for pretty pumpkins that don’t involve any carving. Wahoo! Paint, glitter, marbleize, collage, drizzle and splatter. Sounds fun to me! 16. Chalk Markers ~ made by the talented Meri Cherry children, using chalk markers found here . Have fun making your pumpkins, let me know how it goes! 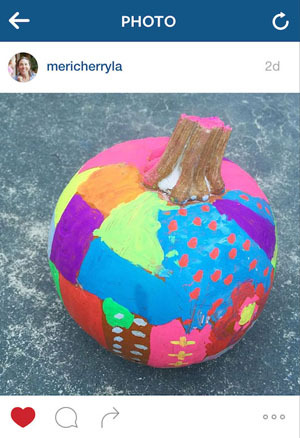 Thanks so much for featuring my washi tape pumpkin! What paint is best? Tempra? Acrylic?